Knife laws in Alabama are friendly for all knives except for the Bowie knives and similar to those. Bowies can be owned but cannot be carried concealed. Even one would get into trouble selling one of those sorts of knives. Otherwise, there are no difficulties in the knife laws in Alabama once you get to know them. You can own or possess all kinds of knives in Alabama except for the single-edged bladed knives also known as KA-BAR knives are illegal here. And there are some concealed carry and selling laws for some particular knives. Bowies are illegal to carry concealed but it would be legal if you own these sorts of knives or you have the permit of possessing one. Bowie knives and other larger fixed-bladed knives are illegal if they are carried concealed. If you are found with a bowie knife in your vehicle, you’ll be punished too. A machete and an 11″ butcher knife are also considered as the Bowies and carrying these concealed is also illegal according to the knife laws in Alabama. A fine of $50.00 and $500.00 or in between. 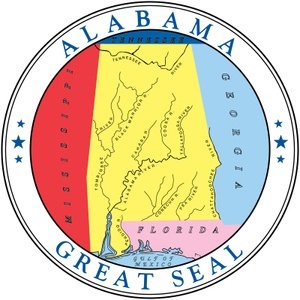 Alabama Code Title 13A. Criminal Code § 13A-11-50 explains this. Bowie knives and other knives that are classified as the Bowies are illegal to carry concealed in Alabama only. So, the restrictions are specifically drawn for these. Such as this, People who sell Bowies and related to these kinds to the minor under 18 will be punished as well and that is completely illegal here. Selling a Bowie knife to the minor also punishes the convict the same as the fine of $50.00 and $500.00 or in between. So, the parents or guardians are also not allowed to give a Bowie knife to their children under 18 years old also considered as a minor. There is no specific open-carry law for the knives. You can carry any legal knives openly unless you have the intent to harm anybody otherwise, you’ll be punished. You can also open-carry Bowies and other knives like those though they are illegal to carry concealed. What is a “Bowie” all about? According to the Alabama knife law, Bowie is a larger fixed-bladed knife that is way big to fit in your pocket. Switchblades and other automatic or assisted opening knives are legal. Stilettos, dirks, and daggers are legal. Toothpick knives, pen knives, cane knives, belt buckle knives and all other disguised knives are legal. All folding knives and pocket knives are legal. Throwing knives and throwing stars are legal. What should you do when you are charged and prove yourself not guilty? If you are already charged for carrying concealed a Bowie or other knives related to that, you will be given an opportunity to show the reasons behind it for sure, but always remember the excuse must be proved by you on the trial with the satisfaction of the jury. If you are not able to defend yourself with a proper excuse or reason or with any proper evidence and the jury find you with a reasonable doubt, you are going to get into trouble. And if you are lucky enough with a full confidence in you, you will be out of danger definitely. In the code 13A-11-55, you’ll get the details. When you are charged, at first, you need to call for a good lawyer. And you have the full right to trial. And if you can prove yourself by giving the evidence that you were carrying that knife concealed with you for a good reason to seize an attack, you might be considered as not guilty. But, the thing is, you need to prove that with the full confidence on you. Remember, there will be the opposite sites of you who would try to prove you were guilty especially the police officers and you need to get over it without been doubted. The code 13A-11-51 also says about it. You can also get yourself not guilty if you can prove with confidence that you were carrying that concealed to defend yourself. You may also carry a knife or a bowie knife concealed for fishing or hunting. And if you are arrested then, you can prove them wrong and find you not guilty and you won’t be punished. Alabama is a region of the United States where knife owners and knife purchasers enjoy an ultimate freedom. 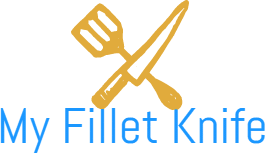 Carrying knife laws are relaxing here too and you are here with the possible ways to get rid of it if you are charged with carrying concealed bowie knives. Otherwise, the knife laws in Alabama are friendly. Following the laws isn’t that hard if you are not planning for any crime!